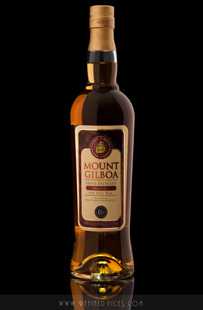 Mount Gilboa is an interesting rum for many reasons, the most noticeable detail being the fact that the rum is triple distilled, more importantly a triple distilled pot still rum. As far as I know there are only a handful of rums in the world that are produced this way, at least many are not advertised as such. However, finding rums distilled more than once in column stills are far more common. Read the review on the frontpage. Being a young rum is there much of an alcohol taste to it? Certainly doesn't have that ethanol aroma or flavor that some poorly made commercially distilled young rums might have. As said in the review some tasters guessed it to be 12 years old. There is a little bit of spiciness associated with young rums. I've ordered a sample from masterofmalt to see. Just hoping it turn out to be one I like. Awesome! Please let us know how you find it! I haven't tried it recently but hopefully the later batches have not changed much from the one I reviewed. Count Silvio wrote: Awesome! Please let us know how you find it! I haven't tried it recently but hopefully the later batches have not changed much from the one I reviewed. Not bad for a four year old but, not the taste I was looking for. Don't get me wrong it's a nice rum smooth but it reminds me of a whisky more than any othe rum I've tasted. Given the difference in price compared to Mount Gay XO which is cheaper I think I'll be sticking MGXO. Having a second crack at Mount Gilboa, this time doing a Ralfy and putting a teaspoon of water with it. Oh boy does it make a difference yes, it's a much nicer rum than the first time I tried it. I'm glad I have percivered with Mount Gilboa as it's another rum to add to the collection.